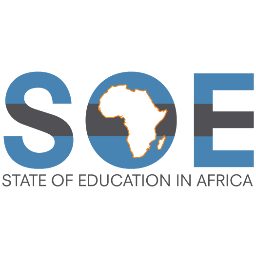 The Africa-America Institute is proud to announce its third State of Education in Africa Conference on May 3rd and 4th at the Crowne Plaza, Nairobi. Co-Sponsored by the Ford Foundation and with support from Carnegie Mellon University, General Electric, IEUniversity, ESSA, and Robert Bosch Stiftung. The Africa-America Institute will convene its third State of Education in Africa Conference. www.soeafrica.org. Under the theme of “Opportunities for Transforming African Higher Education”, we look forward to bringing together global policy-makers, scholars, private sector, philanthropy and more to discuss the vast opportunities for Higher Education in Africa and to address some of the most formidable issues in career readiness, economic development, governance, leadership and national sustainability. Some of the world’s leading education experts, including some of the Africa-America Institute’s Alumni, will serve as panelists and keynote speakers at the conference. Panel discussions will range from “Educating Africa’s Next Generation," "
African Entrepeneurs Disrupting Edcation," "Innovation for Inclusion: Increasing Representation in Higher Education," Leveraging Strategic Partnerships to Advance Higher Education," and "The Role of Curriculum in Changing the Narrative on Africa." The conference will also feature a special advanced screening of PBS’s critically acclaimed “Africa’s Great Civilizations.” This will be followed by an esteemed panel discussion exploring the process and policies for changing the narrative on Africa. Bio: Ribbe has specialised in the history of colonialism in the Caribbean. He has also been active in promoting civil rights in France for people of ethnic African and Caribbean origin. Through his books and films, he has supported the recognition of figures such as Eugene Bullard (Eugene Jacques Bullard), Chevalier de Saint-George, Thomas-Alexandre Dumas, in 1793 the first man of Afro-Antilles origin to be promoted to general in the French Army. In his book Le Crime de Napoleon (2005), Ribbe accused Napoleon of having used sulphur dioxide gas for the mass execution of more than 100,000 rebellious black slaves when trying to put down slave rebellions in Saint-Domingue (now Haiti) and Guadeloupe. He said this was a model for Hitler's holocaust nearly 140 years later. Bio: Dr. Atieno Adala is Research and Development Manager at the African Virtual University (AVU), an intergovernmental organization headquartered in Nairobi, Kenya that works with universities across Africa to help them expand access to higher education by leveraging ICT and open, distance and eLearning (ODeL). She leads the implementation of the AVU research agenda on ODeL and ICT in African higher education. Currently she is the lead investigator in one of the seven impact studies being conducted under the umbrella of Research on Open Educational Resources for Development (ROER4D), a project that is investigating the impact of OER in Africa and Asia, and is funded by International Development Research Center (IDRC), Canada. Her most recent publication is the Current State of Advancement of Open Educational Resources in Kenya, UNESCO IITE (2016). Other roles include convening the AVU international conferences and establishing an online open access peer-reviewed journal. She has been the recipient of the Compton Foundation Peace Fellowship, American Association of University Women (AAUW) International Fellowship, and the PEO International Fellowship. She received her PhD in Instructional Systems Technology from Indiana University Bloomington (IUB). Bio: Dr. Beth Waweru brings to the team over 11 years of work experience in both industry and academia. Her Bachelor’s degree from the University of Nairobi, Kenya was in Chemistry while her Masters in Environmental Management was pursued at Yale University, CT USA. 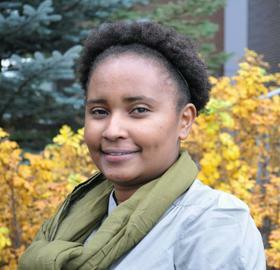 For her Doctorate, Dr. Waweru undertook research in climate change and food security receiving a PhD in Geography from Carleton University, Ottawa, Canada. While she has pursued her academic passions both locally and abroad, Dr. Waweru has remained committed to supporting young Kenyans' access to quality education. As such, she is presently in her second career phase at EGF – having returned to the organization from a sabbatical to pursue her PhD. At EGF, she has been seconded to head the Education pillar while offering technical support to the Energy and Environment pillar in full utilization of her passion, training and competency. Previously, Dr. Waweru has worked in the non-governmental sector, academia, and held several consulting positions in Kenya and abroad. Bio: Dr. Ogenga is the Head of the Department of Communication, Journalism and Media Studies at Rongo University College, Kenya and the Founding Director of the Center for Media, Democracy, Peace & Security (CMDPS). He writes expert commentaries for the Daily Nation and Standard mainstream newspapers in Kenya and has contributed several peer-reviewed scholarly journal articles on media, elections, conflict, and peacebuilding in Africa in journals such as Journal of African Elections, Africa Conflict and Peace-building Review, Conflict and Communication Online, Media and Democracy Journal, Global Media Journal, Journal of Journalism and Mass Communication, Africa Journal of Democracy and Governance, and Semiotica - Global Journal of Semiotics. Dr. Ogenga is a beneficiary of the 2014 Africa Diaspora Fellowship (ADF) and recipient of the 2014 African Peacebuilding Network (APN) Research Grant. He has worked as a visiting scholar on media and sociology at the Institute for the Advancement of Social Sciences (IASS), Boston University, USA. In 2015, Dr. Ogenga was appointed a Visiting Researcher at the African Studies Center, Boston University. Bio: Dr. Olaf Hahn was educated in France, Germany and in the US. An ancien elève of Ecole Normale Supérieure (St. Cloud) in Paris, he obtained degrees in history and German literature and also studied Catholic theology. He worked as a lecturer at University of Gdańsk (Poland) in 1995-96 and obtained a Ph.D in history at the Sorbonne in 1998. After a short period as a salesperson and as an editor he joined the Robert Bosch Foundation in 2000 and held various positions there. From November 2011 until September 2015 he was Senior Vice President and Head of the Education, Society, and Culture department (2005- 2011 head of the department “Society and Culture”), with a financial portfolio of 20 Mio Euros. In October 2015, he was promoted to the new position of Director of Strategic Development/Senior Vice President within in Foundation, responsible, inter alia, to develop a strategy to support Education in Africa. In May 2016 Olaf Hahn was also appointed Founding Director of the UK-registered Charity “ESSA – Education Sub Saharan Africa.” He is the author of several publications and translations. Bio: Ousseina D. Alidou is Professor of Linguistics and Gender Studies. She teaches in the Department of African, Middle Eastern and South Asian Languages and Literatures and Comparative Literature at Rutgers University, New Brunswick. She is a Graduate Faculty Affiliate in the Department of Anthropology and the Department of Women, Gender and Sexuality Studies. She directed the Center for African Studies at Rutgers University (2009-Spring2015); She taught in several American Universities (University of Illinois at Urbana Champaign; The Ohio State University; Ohio University; Cleveland State) and was a visiting Professor at the University of Hamburg in Germany and the University of Lueneburg (Germany); Université Abdou Moumouni (Republic of Niger); University of Winneba (Ghana); She also serves (and continue to) as a Senior Faculty Advisor to UNESCO BREDA for the design of UNESCO-Rutgers University’s Gender and Transformative Leadership Curriculum for African Universities and Civil Society Organizations. 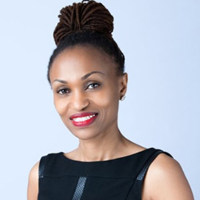 Professor Alidou’s research focuses on women’s agency in African Muslim societies; gendered discourses of citizenship and rights; gender, education, politics and leadership. She is the author of Muslim Women in Postcolonial Kenya: Leadership, Representation, Political and Social Change (Madison: University of Wisconsin Press, 2013); Engaging Modernity: Muslim Women and the Politics of Agency in Postcolonial Niger (Madison: University of Wisconsin Press, 2005, a runner-up Aidoo-Schneider Book Prize of Women's Caucus of the Association of African Studies); co-edited Writing through the Visual and Virtual: Inscribing Language, Literature, and Culture in Francophone Africa and the Caribbean with Renée Larrier (Kentucky: (After the Empire: The Francophone World and Postcolonial France) Lexington Book, 2015); Post-Conflict Reconstruction in Africa with Ahmed Sikainga (Trenton: Africa World Press, 2006) and A Thousand Flowers: Social Struggles Against Structural Adjustment in African Universities, Co-edited with Silvia Federici and George Caffentzis (Trenton, NJ: Africa World Press, 2000). In addition, she has published over 50 book chapters and articles which appear in Research in African Literatures, Sprache und Geschichte in Afrika (SUGIA); Comparative Literature; and Comparative Studies of South Asia, Africa and the Middle East; and Africa Today. Professor Alidou is the recipient of several national and international scholarly and service awards including: Obafemi Awolowo Center for Gender and Social Policy Studies Distinguished Visiting Scholar Service Award (2015); Carnegie African Diaspora Fellowship Award (2015); Newark Women-in-the Media Distinguished Community Service Award (2015); Rutgers University 2011 Warren I. Susman Award for Excellence in Teaching; Africa America Institute’s Distinguished Alumni Award (2010); Ford Foundation Human Rights and Social Justice Grant Award (2005); Rutgers University Board of Trustee’s Scholarly Excellence Award (2005); University of Hamburg, Germany, Visiting Professor Fellowship, Department of Linguistics and African Studies and Graduate Faculty of Intercultural Education (2003) ; and University of Lueneburg Graduate Faculty in Postcolonial Cultural Studies Visiting Scholars’ Writing Fellowship Award (2002). 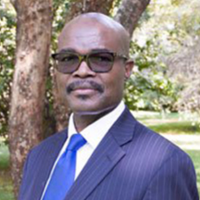 Bio: Paul Tiyambe Zeleza is Vice Chancellor and Professor of the Humanities and Social Sciences at the United States International University-Africa, Nairobi, Kenya, a position he assumed on January 1, 2016. He was installed as the university’s second Vice Chancellor on Thursday, April 7, 2016. Prior to joining USIU-Africa, he was Vice President of Academic Affairs and Professor of History at Quinnipiac University in Connecticut, USA. Previously he was Dean of the Bellarmine College of Liberal Arts and the President’s Professor of History and African American Studies at Loyola Marymount University. He also served as head of the Department of African American Studies and the Liberal Arts and Sciences Distinguished Professor at the University of Illinois at Chicago, taught at the Pennsylvania State University, and was Director of the Center for African Studies and Professor of History and African Studies at the University of Illinois at Urbana-Champaign. Before coming to the United States in 1995, he was College Principal and Professor of History and Development Studies at Trent University in Ontario, Canada. Earlier he worked at the University of Malawi, University of the West Indies, and Kenyatta University. In 2006 he was appointed Honorary Professor at the University of Cape Town, South Africa. In Fall 2015, he was a fellow at Harvard University. Bio: Professor Phillip L. Clay, PhD served as the Chancellor of the Massachusetts Institute of Technology from 2001 until 2011. He is a graduate of the University of North Carolina at Chapel Hill and holds a doctorate from MIT. Professor Clay also held other leadership positions at MIT and was Department Head at DUSP where he has been a faculty member since 1976. Professor Clay is widely known for his work in U.S. housing policy and urban development. His current interests include organizational capacity in community-based nonprofits as well as the role of anchor institutions. Growing out of his work on MIT international strategies, he is also interested in the increasing role higher education can play in national development strategies in less developed and emerging nations. Professor Clay is Chair of the Board of The Community Builders, Inc., one of the nation's largest nonprofit developers of affordable housing. He is a member on several foundation and nonprofit boards, including The Kresge Foundation and The MasterCard Foundation. Professor Clay also has experience in public higher education as a member of the board of the University of North Carolina. He is a member of the board of the Aga Khan University. Presently in DUSP Professor Clay teaches courses in housing policy and poverty. 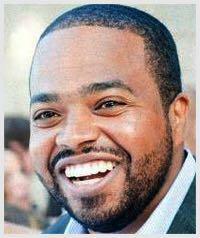 He also teaches Thesis Prep and heads the Housing, Community and Economic Development Group. Professor Clay lives in Boston. 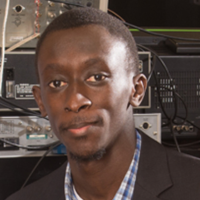 Bio: Dr. Ndao is an Assistant Professor in the Department of Mechanical and Materials Engineering Engineering (MME) at the University of Nebraska-Lincoln (UNL). Before Joining UNL in 2012, Dr. Ndao spent about 2 years as a Postdoctoral Associate in the Chemical Engineering Department and the Institute of Soldier Nanotechnology at the Massachusetts Institute of Technology (MIT), in Cambridge, MA. He completed his Ph.D. studies in Mechanical Engineering at Rensselaer Polytechnic Institute (RPI) in 2010 and received both of his B.S. and M.E. degrees from The City College of New York in 2005 and 2007, respectively. At UNL, Dr. Ndao is director of the Nano & Microsystems Research lab with research interest in Nanotechnology and Thermal-Fluid Sciences. He is interested in both fundamental and applied research in Thermal-Fluid sciences, Energy and Nanotechnology with current research focus on energy conversion and thermal storage, Nanoengineered surfaces, NanoThermoMechanical Logic and Memory devices, Two-phase heat transfer, and Microfluidics. 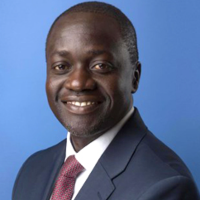 Dr. Ndao is also Associate Director of the Center for Electro-Optics and Functionalized Surfaces, and member of the executive committee of the Nebraska Nanoscale Facility at UNL. Over the past 4 years, Dr. Ndao was able to build a vibrant well funded research group with seven graduate students and several undergraduate students. 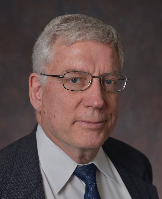 His team has published many papers in peer-reviewed journals such as Nature, Applied Physics Letters, Langmuir, and IJHMT; and in international conferences. Dr. Ndao teaches the undergraduate heat transfer course in the MME department at UNL. He has since also developed two new graduate courses in “Micro and Nanoscale Thermal-Fluids Science and Engineering” and “MEMS/NEMS Fabrication and Microfluidics”; he was recently awarded the UNL College of Engineering Henry Y. Kleinkauf Family Distinguished New Faculty Teaching Award. Dr. Ndao is the founder of SenEcole, an organization whose goal is to promote STEM education for the sustainable development of Africa. Ndao believes that the most effective way to achieve this goal is through early engagement of young girls and boys in STEM via programs such as robotics and engineering design competitions. Hence, SenEcole has developed a series of STEM educational programs and tools, such as the Pan-African Robotics Competition (PARC) and the AZIBOt Robot kit, to provide: •	Early engagement of young girls and boys in STEM •	Access to affordable and state-of-the-art STEM educational tools and curriculum to educators and students both in rural and urban areas •	Better understanding of how STEM is used to solve real-world problems •	And inspiring young Africans to be science and technology leaders Amongst Dr. Ndao’s latest achievements is the creation of the Dakar American University of Science & Technology (DAUST) in Senegal, West Africa. DAUST provides instruction and research opportunities for undergraduates and graduates in fields of engineering and technology that are useful in developing technological solutions to address Africa’s societal needs and challenges. Bio: Ambassador Carlos Dos Santos became Mozambique’s ambassador to the United States on January 28, 2016. It’s the fourth such posting for Dos Santos, a career member of his country’s Ministry of Foreign Affairs. 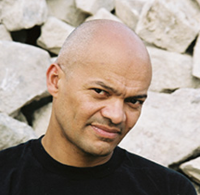 Dos Santos was born in 1961 in Maputo city, the capital of Mozambique. Raised in an agricultural community, he attended a Catholic missionary school and then joined the Foreign Service at age 19. Mozambique ran a sort of an apprenticeship program for recruits to the Ministry of Foreign Affairs (MFA). Dos Santos would work in the ministry for a period, then take a year off for schooling. He spent about five years, beginning in 1984, in Mozambique’s embassy in Harare, Zimbabwe. Dos Santos ended his tour there having earned bachelor’s and master’s degrees from the University of Zimbabwe in politics, administration, and international relations. He returned to Mozambique in 1989, first to head up the Africa and Middle East desk at the MFA, then as chef du cabinet in the ministry, where he helped finalize the peace accords that ended 15 years of civil war in that country. The following year, he was made private secretary to then-President Joaquim Chissano. Dos Santos took his first ambassadorial post in 1996 as his country’s permanent representative to the United Nations. While there, he was named secretary general of a convention to ban landmines, an issue close to his heart because of the millions of mines planted in Mozambique during the civil war. He also worked to stop small arms proliferation, another vital issue in his country. While in New York, Dos Santos also earned an MBA from Baruch College in the City University of New York. He returned to Mozambique in 2003 to serve as a senior advisor to Chissano. In 2006, Dos Santos went to Germany as ambassador and also was his country’s representative to the Holy See. He became high commissioner to Great Britain in 2011, as well as ambassador to Ireland, posts he held until coming to Washington. Dos Santos’s wife, Isabel, was a program officer in Mozambique’s National Demining Institute. The couple have two daughters and a son. He speaks English, Portuguese, and his native Ronga. 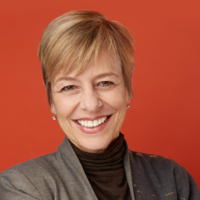 Bio: Hilary Pennington is the Ford Foundation's vice president for Education, Creativity, and Free Expression. She leads the foundation’s work on school reform in the United States and higher education around the world, next-generation media policy and journalism, and support for arts and culture. She also oversees the foundation’s regional programming in four offices based in Africa and the Middle East. Hilary is a national expert on postsecondary education and intergenerational change. Before joining the foundation in 2013, she was an independent consultant whose clients included the Next American University project of the New America Foundation and Arizona State University. She also led the Generations Initiative, a project funded by national foundations to develop effective responses to the dramatic demographic shifts occurring in the United States. Between 2006 and 2012, Hilary served as director of education, postsecondary success, and special initiatives at the Bill and Melinda Gates Foundation, where she guided grant programs across the country and worldwide. Before joining Gates, she was a senior fellow at the Center for American Progress and president and CEO of Jobs for the Future, a research and policy development organization she co-founded. In 22 years with JFF, Hilary helped the organization become one of the most influential in the country on issues of education, youth transitions, workforce development, and future work requirements. She also served on President Bill Clinton’s transition team and as co-chair of his administration’s presidential advisory committee on technology. Hilary is a graduate of the Yale School of Management and Yale College. She holds a graduate degree in social anthropology from Oxford University and a master’s degree in theological studies from the Episcopal Divinity School. In 2000, she was a fellow at Harvard’s Kennedy School of Government. Bio: Dr. Fred Okeng’o Matiang’i is the cabinet secretary, ministry of Information, Communications and Technology (ICT) in the government of Kenya. Before his appointment, Dr. Matiangi served as the Eastern Africa regional representative for the Centre for International Development, Rockefeller College of Public Affairs and Policy, the State University of New York SUNY/CID. He formerly served as Chief of Party for Kenya's Parliamentary Strengthening Program. 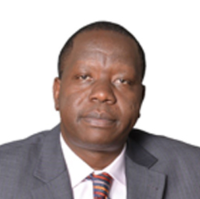 Dr. Matiangi held research and program implementation positions in various civil society organizations in Kenya and conducted research and training for the Commonwealth Parliamentary Association, the parliaments of Ethiopia, Uganda, and the East African Legislative Assembly. He has also been a columnist for the Daily Nation, Kenya’s leading newspaper, and has consulted extensively with USAID, the Canadian Development Agency (CIDA), the World Bank, and Transparency International. He taught at Egerton University and the University of Nairobi. Dr. Matiangi’s education includes a Ph.D. in communication and comparative literature from the University of Nairobi, an M.A. in English from the University of Nairobi, and a B.A. in education from Kenyatta University. He speaks Swahili, English, and has a working knowledge of French. Bio: Irene Mbari-Kirika is an award-winning executive-level entrepreneur who founded inABLE to provide computer technology education at special schools for the blind in Africa. Working from an inclusive conceptual idea in 2009, Irene has spearheaded the establishment of eight assistive technology computer lab programs that have enrolled over 1,800 students and 150 teachers, and hosted over 20,000 hours of basic computer and employable skills training, such as website design and Java programming. 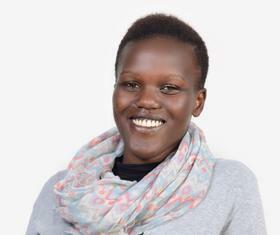 A graduate of The Fletcher School of Law and Diplomacy at Tufts University with a Global Master’s of Arts(GMAP) degree in International Affairs, Irene has championed initiatives related to global policy, advocacy, and international development. She has also co-authored research reports - A Comprehensive Report on the Nationwide Baseline Survey of Technology Skills for Learners with Vision Impairment in Kenya by the Georgia Institute of Technology - and A Computer Training Program for the Schools for the Blind in Kenya published by the Journal of Blindness Innovation and Research Irene has also been a featured speaker at several high-profile educational events, including the UNESCO Mobile Learning week in Paris and ICT Connected Summit in Kenya. Bio: Ivy manages relationships across a portfolio of partners for The MasterCard Foundation Scholars Program. Prior to joining the Foundation, she was the General Manager, Education Pillar at Equity Group Foundation where she oversaw the management of over 6,000 students in the MasterCard Foundation partnered Wings to Fly secondary scholarship program. 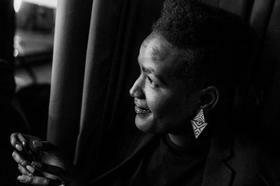 Prior to that, she was the Admissions Director at African Leadership Academy and has been involved with youth and education in various organizations, has been in advertising, marketing and communications, and in her personal capacity involved with Kenya Red Cross. She has a Bachelor of Art in International Relations and French, Honours from Ohio Wesleyan University. Bio: John Matogo is the University Relations Leader for IBM in East Africa. John joined IBM in Sept 2014 bringing with him vast experience from the academic fraternity in East Africa. His role involves leading IBM academic programmes with universities in eleven countries in the East African region. John has been instrumental in cementing collaborations of IBM with numerous institutions of higher education and ministries of education in the region. The outcome of the programmes initiated so far include having over 400 certifications and over 2000 trained students and Faculty members on the latest technologies including cloud, mobile, business analytics, cyber security and many more. Prior to joining IBM, John was the Manager of @iBizAfrica, the business innovation centre at Strathmore University and a faculty member in the Faculty of Information Technology at the same institution, teaching software engineering and computing courses. He was instrumental in coordinating the first ever e-readiness survey of over 50 universities in East Africa while working with KENET. He is interested in the application of technology in educational environments and developing technical skills among young technology professionals. 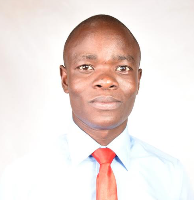 His research interests include: ICTs in education, ICT4D, Free &amp; Open source software and Innovation &amp; entrepreneurship. His contribution to the local technology community was recognized at the iHub Tech Community Award ceremony on 8 th March 2015. John is the immediate former Chair of the IEEE Kenya Section and a current board member of AfriLabs. He previously served as a Council member of the Free and Open Source Foundation for Africa(FOSSFA). 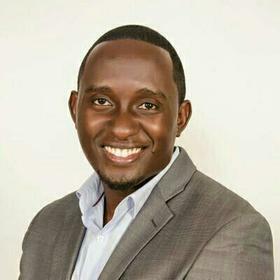 He holds a Bachelor of Science (Hons) Degree from the University of Nairobi, a graduate Diploma in Information Management from the University of Greenwich, an Msc in Information Systems from Strathmore University and is presently finalizing his dissertation for a Master in Business Administration at Strathmore Business School. John enjoys travelling, outdoor activities and is currently trying his hand at golf. 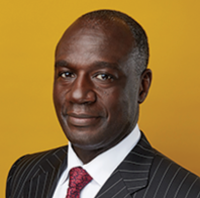 Bio: Kofi Appenteng, chair of the Ford Foundation Board of Trustees, is president of the Africa-America Institute. Founded in 1953, AAI’s mission is to promote enlightened engagement between Africa and America through education, training, and dialogue. Appenteng also chairs the board of the International Center for Transitional Justice, a human rights organization that provides technical assistance to governments in Latin America, Asia, and Africa. He has 30 years of domestic and international experience as a corporate lawyer, investment banker, and board director and has been active with numerous civil society organizations throughout his career. In recognition of his work in business and philanthropy, he was named one of the Carnegie Corporation's “Great Immigrants: Pride of America” honorees in 2013. Born in Ghana, Appenteng attended preparatory and public schools in England. He came to the United States in 1977 to attend Wesleyan University and later earned his law degree from the Columbia University School of Law. Bio: Luis Jorge Manuel Antonio Ferrão was born in Nampula province 23 December 1961 After teaching history and geography, and working as a journalist and in audio-visual production, he graduated in international relations and diplomacy from the Instituto Superior de Relações Internacionais (ISRI) in Maputo, Mozambique. He then moved to work for the SADC Sector of Culture and Information and gained a masters in public policy from the university of Zimbabwe (SARPS), followed by a doctorate from the Federal Rural University of Rio de Janeiro (UFRRJ), Brazil. Ferrão was the Regional Coordinator of the Great Limpopo Transfrontier Park (which covers the Kruger National Park in South Africa, the Limpopo National Park in Mozambique, and Gonarezhou National Park in Zimbabwe), and Adviser to the Minister of Tourism on protected areas and private investment. In 2007 he was made rector (vice-chancellor) of the new UniLurio, and then served as the Minister of Education and Human Development until 2016. He is now the Rector of the Pedagogical University in Mozambique. 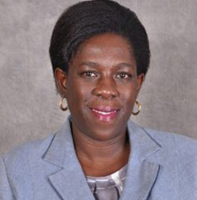 Bio: For over 15 years, Dr. Lydiah Kemunto Bosire has worked with the UN, the World Bank, NGOs, and academia on a diverse range of political, human rights, and development issues. She has worked at the UN’s Department of Political Affairs and at the World Bank’s Fragility, Conflict and Violence Group on UN-World Bank collaboration in conflict-affected states; at the Executive Office of the UN Secretary-General, the World Health Organization and the UN Population Fund on global health policy and advocacy; co-founded Oxford Transitional Justice Research; and been a member of the founding Board of Directors of Keep and Child Alive. She currently sits on the Advisory Council of the UWC Atlantic College. Dr. Bosire completed a Doctor of Philosophy at the University of Oxford. She also holds a Master of Science from Oxford, where she attended as a Clarendon Scholar. She also completed an undergraduate degree in Government and a Master of Public Administration at Cornell University. Bio: As the head of McGraw-Hill Education’s Consumer group, Matthew Mugo Fields is a leader in education committed to transforming learning through technology and innovation. Under Matthew’s leadership, McGraw-Hill Education now provides advanced learning solutions directly to families across the globe. While growing up in the Philadelphia area with limited resources, Matthew benefited from the support of an inspiring group of educators and mentors who helped him succeed academically. Matthew is an honors graduate of Morehouse College and is one of the first people to simultaneously earn master’s degrees in business and education from Harvard University. Motivated by a desire to do for others what was done for him, Matthew has been a serial education entrepreneur and most recently was the founder and CEO of the Silicon Valley-based enterprise Redbird Advanced Learning. Built upon a ground breaking research partnership with Stanford University, Redbird created adaptive digital curricula and staff training software for schools, while its GiftedandTalented.com platform provided personalized courseware and virtual tutoring services to families in over 75 countries. Redbird Advanced Learning was acquired by McGraw-Hill Education in 2016. 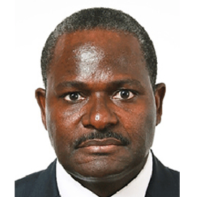 Bio: Maurice Makoloo is Ford Foundation's representative in Eastern Africa, overseeing all grant making in the region from Ford's office in Nairobi. Maurice has worked to advance progressive reforms and secure rights and opportunities for all people in the region. His priorities have encompassed strengthening democracy and the efficacy of local civic organizations; addressing gender inequalities, particularly pertaining to low-income women; improving livelihood opportunities for rural and urban poor people, including addressing disparities in land control; and promoting open access to media that enable free, fair, and diverse forms of expression. 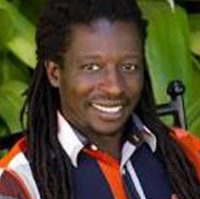 Before joining the foundation in 2012, Maurice served as director of the Institute for Law and Environmental Governance, a leading environmental research and advocacy institution based in Nairobi. He was appointed by the Council of the Law Society of Kenya to serve as the convener of the society's Environmental Law Committee, a position he has held since 2005. Recently, he concluded a six-year term as secretary of Kenya's Public Complaints Committee on the Environment—a post to which he was appointed by the minister for environment and mineral resources. Maurice holds a master of laws and bachelor of laws, both from the University of Nairobi. Bio: Melissa Howell develops inclusive, collaborative, high-integrity programs to address critical issues with proven business and leadership development outcomes for nearly 300 organizations globally. These successful projects are grounded in participatory methods, emergent and human-centered design, and blends market- and non-market based solutions. She leverages extensive experience providing program design and implementation, direct training, curriculum development, advisory and technical assistance within the private and social sectors across 29 countries in Africa, Europe, the Caribbean, and the Americas. Melissa was recently named Director of Global Programs for the Africa-America Institute (AAI), where she has consulted for the past four years. In this role, she helps set the strategic direction for AAI’s program portfolio, developing key partnerships and collaborating on capacity-building projects across Africa. She directly manages AAI’s Transformational Leadership Program which works with university partners in Kenya, Nigeria and South Africa to provide leadership and management training to NGOs and social entrepreneurs. She has written about the impact and opportunities for this program in Learning for Life: How Continuous Education Will Keep Us Competitive in the Global Knowledge Economy (AMACOM: 2015). Melissa holds an MA in Migration and Diaspora Studies from the University of London’s School of Oriental and African Studies (SOAS). She holds an MBA, BS in Business Administration and BA in Spanish from Florida Agricultural & Mechanical University (FAMU). Melissa serves as 2nd Vice Chair for the Museum of Contemporary African Diasporan Arts (MoCADA) Board of Directors. 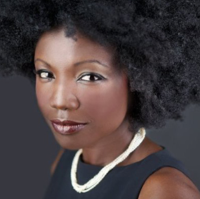 She also serves on the Board of Directors for the BlackStar Film Festival celebrating independent films and filmmakers of the African Diaspora. Bio: Ms. Wainaina obtained a MA in Information Security at Carnegie Mellon University Africa (CMU). Bio: Nneka Okekearu is the Deputy Director of Enterprise Development Centre (EDC). She graduated from the University of Nigeria with a degree in Banking and Finance and has an MBA with specialization in Marketing. A fellow of the Chartered Institute of Marketing and the deputy director of Enterprise Development Centre she has over the years been involved in a number of projects targeted at developing the capacity of Small Growing Businesses(SGB)within and outside Nigeria. 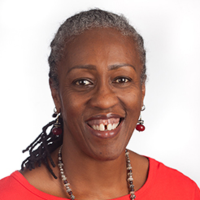 With over 20 years’ experience in Oil & Gas, Banking and Enterprise Development she has developed skills sets in Business development, Strategy, Marketing, Succession Planning, Coaching and Mentoring, Training and Small business development. A 3rd generation entrepreneur she sits on the board of 8M Property Consult, Promo print Ventures, Ideal Solutions, Space Dynamics and advises numerous budding entrepreneurs. Nneka’sexperience in the entrepreneurship space has led to her facilitatingsessions on Strategy, Business Modelling, Entrepreneurship, Leadership, Customer Services, Effective Communication, Business Ethics and Personal Productivity. She serves on the committee of several national and international mentoring programs and a judge on numerous business plan competitions A believer in the power of mentoring, Nneka is a founding and current committee member of the Chartered Institute of Banking mentoring panel tasked with grooming a new generation of Nigerian bankers. She has been on numerous committees all tasked with deepening the SME ecosystem and a team Member on Nigerian Education 2020 under the chairmanship of the then Education Minister Dr.ObyEzekwesili. A strong advocate of ‘Paying It Forward’Nneka has designed and deployed PSR (Personal Social Responsibility) capacity building and mentoring program for numerous organisations such as the Lagos Mainland deanery of Catholic Women Organisation, Confraternity of Christian Mothers Lagos Island and the Young Catholic Professional to name a few. Over the last 2 decades plus her contributions at various strata have earned her awards such as the ‘Enterprise Director Award for innovative ideas in the SME ecosystem’, Recognition Award for contribution to women business owner’s empowerment by the Catholic Women Organisation 2years back to back, Commendation on outstanding performance in customer service from Standard Trust Bank amongst others. She is currently a Life and Family coach to a network of female business owners in Nigeria.She is a certified Leadership Trainer from the Centre for Creative Leadership USA, a certified trainer for the World Trade Organisation ITC Access PACT 1&2 projects and an IFC Business Edge and SME Toolkit trainer. Her areas of research interest include women entrepreneurship, succession planning for small and medium sized businesses as well as sustainability models for SGBs. She has over twenty years of experience in the Oil and Gas,Financial Services and Telecommunication sectors. Nneka loves reading, coaching and mentoring youths and budding entrepreneurs.She is happily married to CJ a serial entrepreneur and is blessed with two wonderful children. Bio: Ogoncho Yaros Onwong'a is Sophomore student at United States International University-Africa. He obtained his Bachelor of Science in Finance with Investment Management as his concentration. He is one of the 2015 Future Leaders Legacy Program Scholars. He likes dealing with arithmetic and working with finances in general, and he also likes doing research on various interesting areas using different platforms. 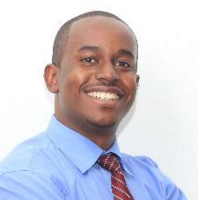 Bio: Patrick Karanja joined The Rockefeller Foundation in 2015 as a Program Associate based in the Africa Regional Office in Nairobi, Kenya. Prior to joining the Foundation, Mr. Karanja worked at World Vision International where he was a Regional Engagement Manager for Global ICT. His experience combines private sector and not-for-profit in the areas of HR, BPO, and ICT4D. Mr. Karanja earned a bachelor’s degree in business studies and English from Kenyatta University and a certificate in web design and management from Strathmore College University. He is also a fellow of the first cohort of the Rockefeller Foundation Social Innovation. Bio: Ruth Nyakerario Nyabuto, is a student at USIU-A .A scholar under the USIU-A partial scholarship. Her major is in International Relations .At the moment she has completed her course work and is set to graduate in September 2017. In the mean time, She is pursuing a diploma in Project Management at Kenya Institute of Management . In 2015, she co-founded a community based organization that focuses on street children in Nairobi. 'Out of the streets Foundation ".Their rehabilitation, reintegration into the society and empowering them with entrepreneurial skills.She serves as the CBO's vice chair and oversees all projects they undertake.That aside she is a highly passionate reader and an upcoming writer too.Recently she served as the editor and guide in writing of position papers and resolutions by the team (which she was part of) that represented USIU-A at Harvard University. During holidays she tutors young children in her community on creative writing among other lessons. 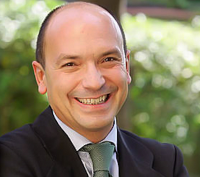 Bio: Santiago Íñiguez de Onzoño is the Executive President of IE University. He holds a Degree in Law, a Ph.D. in Moral Philosophy and Jurisprudence (Complutense University, Spain) and an MBA from IE Business School. He was a Recognized Student at the University of Oxford, UK. Íñiguez has worked as a management consultant and has played an active role in the field of quality control and development of management education in Europe. He serves as chair of the board of directors of AACSB International (AACSB). He is the first chairman in the organization's 100 year history who is from a non US-based institution. Íñiguez also serves on the boards of Renmin University Business School (China), CENTRUM (Universidad Católica, Perú), Antai Business School (Jiao Tong University, China), Mazars University (France), the Russian Presidential Academy-RANEPA (Russia), and FGV-EASP Fundaçao Getulio Vargas (Brazil). 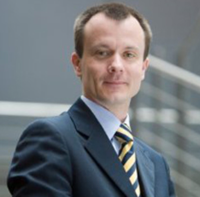 He was portrayed by the Financial Times as “one of the most significant figures in promoting European business schools internationally”. Íñiguez is also President of the IE Fund in the US and the Vice-Chairman of FT-IE Corporate Learning Alliance, a global joint venture offering custom education for companies. Íñiguez is Professor of Strategic Management at IE Business School. His most recent book, “The Learning Curve: How Business Schools Are Reinventing Education” focuses on the transformations of business education. He is co-editor of www.deanstalk.net, a blog focused on management education issues. Íñiguez is a regular speaker at international conferences, he is a LinkedIn Influencer, and frequently contributes in different journals and media on higher education and executive development. Bio: In 2014, I Joined Business Association Club, a student-run organization, recognized in the USIU-Africa charter which nurtures and empowers its members by broadening their networks, offering leadership skills, teaching corporate etiquette, and educating on specialized business practices. 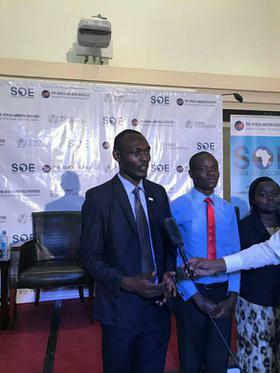 I served as club president for the year 2015-2016 where I spearheaded the amendment of the USIU-Africa SACCO to accommodate staff, faculty and students as well as their immediate family members with the aim of providing avenue for the students to make personal savings, access loans to start small businesses. I also led to the inaugural “Annual Economic Forum 2014” that brought together economic think tanks, academicians, industrial experts with over 400 delegates (University students) selected from 25 universities across Kenya. The conference endeavored to foster active youth engagement as an integral component to Kenya’s economic evolution. Apparently, we have managed to conduct two more effective conferences engaging more youth than ever before. Additionally, as the club present, I managed to initiate viable income generating projects with the goal of increasing the club’s funding and financial performance through activities such as graduation sales, entrepreneurship, leadership, networking cocktail dinners, corporate trainings, charitable activities etc. I managed to increase the club finances by over Ksh. 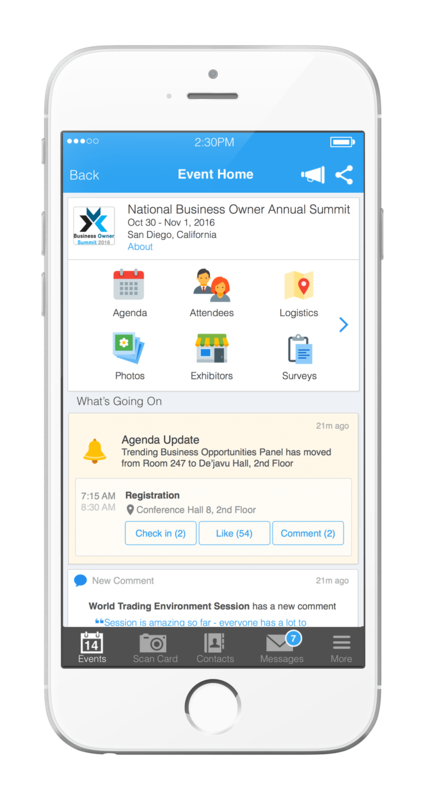 0.5 million with over 300% growth in membership within a period of one year. Based on the experience I gained through daily interactions with the youth, I realized there existed a great gap with regard to youth empowerment as manifested through the glaring youth unemployment rates in Kenya and most of the parts in the developing world. As a result, in early 2015 I founded FuturInvest Kenya; a youth based organization that equips young people (age 18-35) with entrepreneurial skills, table banking, leadership, job search market skills through capacity building and training programs. To this effect, I have written an unpublished thesis on “Contributions of Uwezo Fund to Youth Empowerment in Kenya” (Uwezo Fund is an affirmative fund by the Kenyan government for the youth to help them start and operate small businesses based on the group model). Ultimately, I have participated and engaged in various International conferences bearing themes touching the youth inclusion and development including the UNCTAD 14, ASHOKA Foundation, Safaricom ltd among other corporate organisers. My vision is to see an empowered young person; socially, economically and politically. A self-reliant young person.